Thank you!I am watching your blog closely because I start Eureka 2nd grade with no training in 2 weeks. I want to do guided math as well. I am also hanging on every word Mary is typing and I will add what I discover as I try to do this!!! 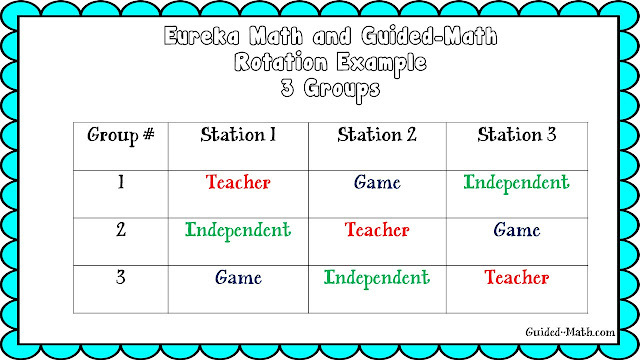 I look forward to your future posts on integrating rotations and small groups with Eureka Math. We just adopted it as our math curriculum and many teachers at my site are worried about the whole group instruction of it, especially in the younger grades. Any ideas about this will be extremely helpful! 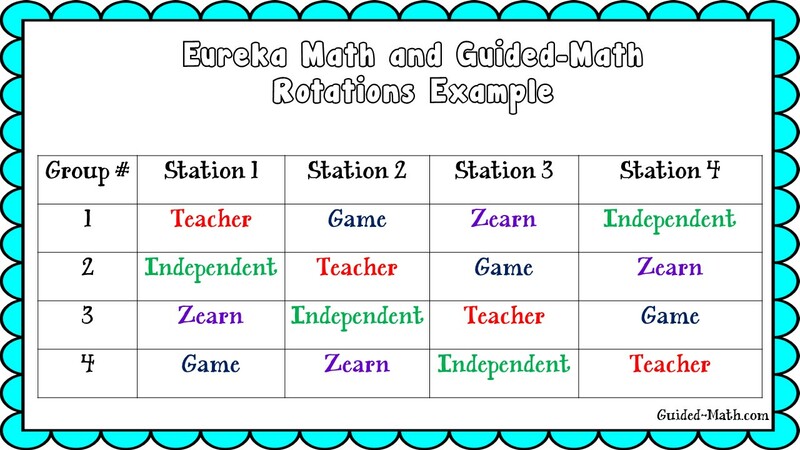 I'm glad to see that you are using Zearn as one of your 4 rotation groups. I think it's a great program since it is organized with Eureka Math in mind. Do you have enough computers to have each student work independently or are you grouping students in pairs? Tell us more. Thank you so much for sharing your journey. My district adopted Eureka Math for the 2016-17 school year, and I really want to use the workshop approach. Thanks so much for sharing this! Our district also switched to Eureka this year, and I am overwhelmed, to say the least. Our district adopted Eureka district wide this year. I'm looking for support and experience with this curriculum to help our teachers with this overwhelming adjustment.